Since the start of Sunday's Child, more than $330,000 has been awarded to local charities in the Pensacola Bay Area. See their many successful outcomes and heartfelt testimonials here. The following are the grant recipient charities and their projects. OASIS’s Mobile Outreach Unit, which operates out of a discreetly identified RV, is designed to reach people who otherwise might not be tested either in their neighborhoods or at community events. 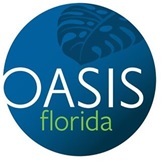 The unit is staffed with trained HIV counselors that can do on-the-spot rapid testing, provide prevention education, and direct people to case management when needed; in short, virtually all of the services provided by OASIS’s main office. Grant funds will be used to expand hours of operation of the mobile unit. It is anticipated that the increased testing numbers will provide the basis for additional state funding which will sustain the Mobile Outreach Program. 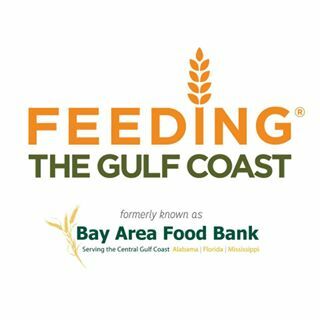 Feeding the Gulf Coast will install a 12’ x 40’ outdoor cooler at its warehouse in Milton, Florida. The cooler will expand their produce storage capacity, allowing it to store an additional 20 pallets of fresh produce each week, with each pallet weighing between 450-750 pounds. The cooler will be located adjacent to its existing facility and will provide for donated produce to be stored in proper temperatures while the staff inspects and sorts the donations for safety. Capstone “Pet Barkery” Program will augment the existing employment/education training program at the Pet Place retail store in Milton. Students who work there will learn skills such as ordering supplies, baking, packaging, selling and marketing items, increasing their chances of later becoming gainfully employed. The “Pet Barkery” will bake home-made pet treats for sale at local farmers’ markets, festivals, businesses, and the new Pet Place pet supply store. Sunday’s Child funds would be used to purchase equipment to outfit the bakery including oven, hood, dishwasher, appliances, curriculum, and training materials. The goals of Project Projecting Humanity are to acquire the equipment necessary to present HD-quality films at PLT at a level a patron would expect at a modern movie theater. It will also provide an opportunity for Pensacola’s LGBT film festival, Stamped, to grow and impact the community with their message as the PLT has committed to providing a venue and use of the new equipment to the Stamped Film Festival at no cost for five (5) years. The funds will be used for the purchase and installation of a theater-quality projector and screen. Manna’s winning proposal will fund the development and construction of a climate-controlled dry room within the organization's new headquarters and distribution facility. The room will be large enough to allow space for repackaging bulk items as well as storage for more than 30 pallets of dry food that is distributed weekly to nearly 900 families in the Pensacola Bay Area. Independence for the Blind, the only nonprofit entirely devoted to educating the blind and visually impaired in Northwest Florida, will utilize grant dollars to build their SOAR (Safe Outdoor Area for Recreation) project. The project will span a half-acre and will be developed into a safe, appropriate place for blind children, teens, and adults to engage in physical activity. Included within the project is the purchasing of custom sports equipment for blind youth, a new watering system, recreational facilities, and three new raised garden beds. Friends of the Escambia County Animal Shelter will purchase a transport van to allow the support organization to transport animals from over-capacity local animal shelters to areas of the country less burdened with pet overpopulation. The transport will connect to the established Puppy Pipeline in Hoover, Alabama, where pets are professionally transported to no-kill shelters in other locations where there is a high demand for adoptable pets. Pensacola United Methodist Community Ministries will benefit from the purchase of a new state-of-the-art walk-in refrigeration unit to assist in the charity’s mission to meet the physical, emotional, and spiritual needs of people suffering from hunger within Pensacola’s Brownsville community and the Pensacola Bay Area. The new unit will greatly reduce food spoilage and will expand the efficiencies of more than 20,000 hot meals annually at their Brownsville facility. With their grant dollars, the Children’s Home Society of Florida will be able to expand their services to care for the thousands of children in the Pensacola Bay Area who are malnourished and alone. Their project will support securing host homes for runaway and homeless youth, including those who have behavior challenges, identify as LGBT, are pregnant, parenting, or human trafficking victims. The project will support a recruiter to participate in outreach and innovative marketing strategies to recruit, secure, and train host families willing to parent homeless youth. Sunday’s Child funding will also provide direct street outreach to area youth. 2000 Degrees: A Portable Glass Arts Education Program will allow FCAC to outreach in every direction and to include the maximum number of people in the glass education programs. This is done through the use of a portable glass studio. A fully equipped, portable glass blowing studio can drive to the doorstep of any school, festival or function. The goal of this program is to teach design charrettes and provide educational demonstrations for students and the general public. An increase of public participation by 100% in the first year will be achieved by visiting at least two schools each month throughout the year and by participating in community festival throughout the area. Rapid Re-Housing Project is a project to calm the homeless crisis. Expedition of the re-housing of homeless families and single women is accomplished by providing rent and utilities assistance. The project also focuses on rebuilding client’s problem-solving and decision making skills to make the program sustainable. The result of this project will increase the capacity to serve an increased number of new clients due to the expedited process of re-housing. *Due to unforeseen circumstances, The Beacon was unable to open their cold-weather shelter. Sunday's Child worked to help them meet their grant obligations (their project was an extension to their shelter) in a timely fashion. Because a new shelter site has not been established, The Beacon has withdrawn from the Sunday's Child grant award of $35,500. No funds were distributed to The Beacon, and as per Sunday's Child polices for unused or defaulted monies, funds will be rolled over to the following grant cycle, 2017. Forklift for Pollack Industries will allow the purchase of a new forklift, which will permit adults with disabilities to work and receive a paycheck while providing a service to our community. Pollack Industries, a project of Arc Gateway that employs disabled adults on production contracts, utilizes a team of twelve individuals with disabilities and one non-disabled person to manufacture cement parking bumpers and cement air-conditioning pads for local contractors, businesses, and builders. These cement items, weighing between 200-225 pounds, must be transported from the production areas, loaded onto trucks and delivered to project sites. This cannot be done without the aid of a forklift. Currently, their forklift is over 20 years old, breaks often, and must be replaced in order to continue providing services. A new forklift would aid in streamlining and expanding production and distribution. Legal Education and Victim Empowerment project, or The L.E.A.V.E., will allow Legal Services of North Florida to hire a staff attorney for one year to develop enhanced advocacy and education tools to support victims of violence and bullying within our community. This attorney will go into our community to educate other providers of their obligations, including school personnel, law enforcement and the courts, our entire community will be elevated to an improved dialogue. The Legal Education and Advocacy for Victim Empowerment (LEAVE) project will give victims and allies legal tools with which to prevent violence and bullying in our families, schools, and entire community. While LEAVE may serve victims of all different experiences, a focus will be placed on LGBTQ youth, LGBTQ relationships, homeless and dependent youth, and youth with disabilities.